So this week is going to be another boiling hot one. Yuck. I wouldn't mind the hot days so much if it would at least be cool at night but it isn't. I thought this image was appropriate to start the week with. 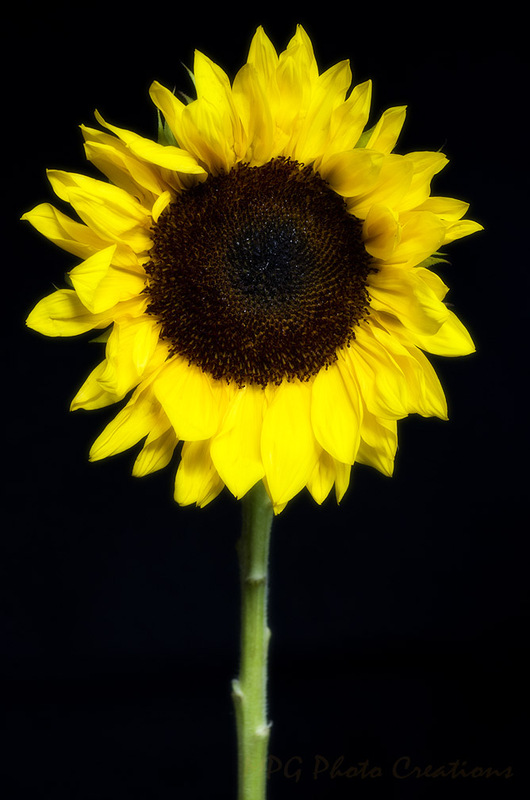 This is a sunny Sunflower that I photographed this past winter from some cut ones I had bought and never shared the image. I went looking for a sunflower field on Saturday but was disappointed to find that none were around, all of them had corn instead. I am glad I planted a few in my garden this year to enjoy.